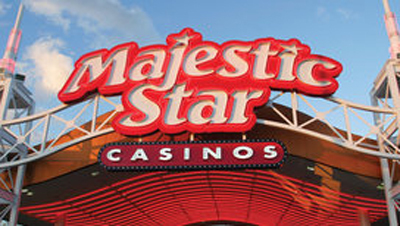 Majestic Star Casino, one of the most vibrant gambling facilities in Gary, Indiana (USA), will play host to a world-renowned poker event from July 23 to August 2. It is about a stop of the World Poker Tour DeepStacks, one of the most popular poker circuits among those with recent entrance in the arena. Recall that the WPT Deepstacks was born as a fruit of a partnership between World Poker Tour and Deep Stacks Poker Tour . Successful, it now gains an ever-increasing popularity. At Majestic Star Casino this year, the poker tournament will features 16 events of affordable buy-ins. The $ 100,000 Guaranteed Main Event remains the top highlight of the festival. It will kick off on July 31. The entry fee to this battle is set to $ 1,000 + $ 100. Following the smashing success of the inaugural WPTDeepstacks, the circuits executive director, Chris Torina, and his team are rising the bar high this year by awarding super attractive prizes. An illustration: the eventual winner of the Main Event will be given, beside the top payday, a seat to the WPT Season XIV World Championship during which every participant can grab points that allow them to improve their rankings in the current Player of the Year race. Of course, those who consider themselves as tough ones can compete in the WPT Championship to be held at Borgata Hotel & Casino in Atlantic City. As for cash-game enthusiasts, they will be served with a set of related events during this WPTDeepStacks. After this Chicago-area stop, the circuit will land in Reno from August 20 to 30.